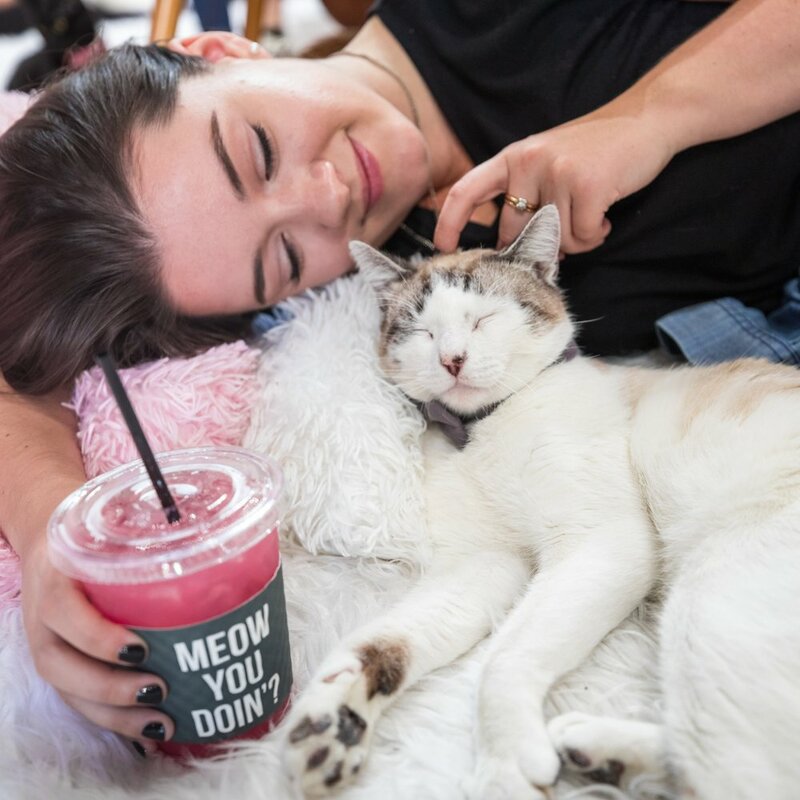 Every C&W Experience is 70 minutes, the perfect amount of time to relax with a room full of cats, drink your favorite latte, and adopt your new best friend. We highly recommend booking your Experience online to guarantee entry. We limit the number of guests in our space for the health, safety, and comfort of our cats. 3. Arrive 5 minutes early to your Experience to check-in and place your order. To purchase your Experience, you can make our suggested contribution or give more. Your contribution enables us to care for our rescue cats, provide them with a nurturing environment, and ensure they are adopted to the right homes. Thank you for your support. Our cats can’t wait to see you! 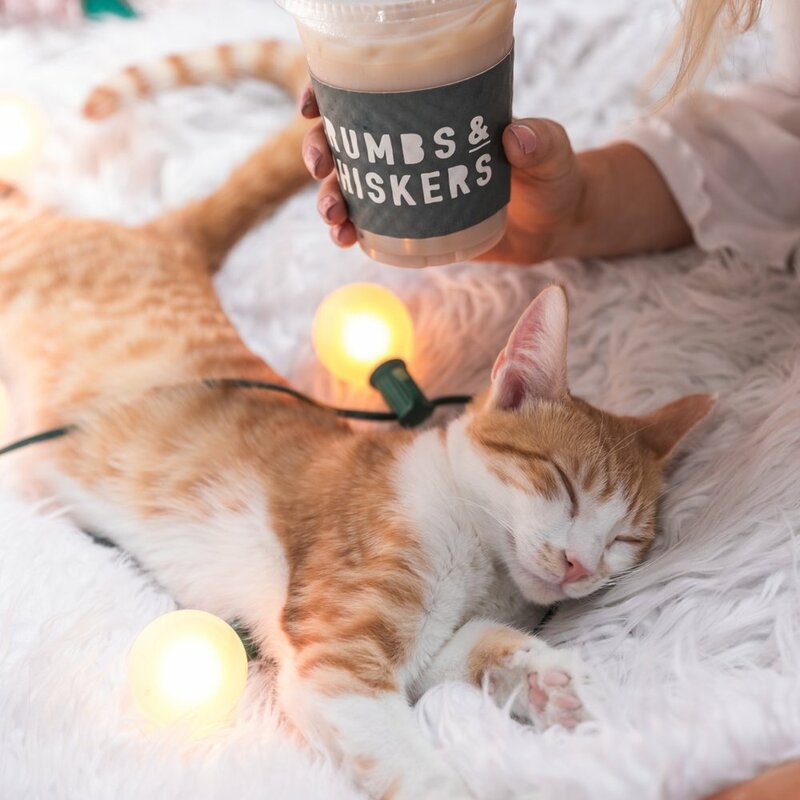 Visit Crumbs & Whiskers with your posse and get 25% off! PURCHASE DIGITAL GIFT CARDS [CAN BE USED TO BOOK YOUR EXPERIENCE ONLINE] HERE.